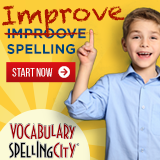 In the Mood To Win Fun Homeschool Resources? Homeschool Writing: LEGOS Don't Build Themselves, You Know! Is Your Homeschool Hampered by Your "Addiction"? Congratulations To the First Winner In Our Homeschool Curriculum Reviews Giveaway! Is Your Homeschool Hampered by Your “Addiction”? Times Tales DVD Winner and a New Prize! Review Homeschool Curriculum and Be Entered to Win! Creating a Motivation System - Do You Need One? Adam Steltzner: From Failing Geometry To NASA "Rock Star"
From School to Homeschool: What is Deschooling? "I Can't Homeschool - I Have to Work!" Homeschool Mom Retreats for $25? Really? Curriculum Reviews Giveaway Grand Prize Winner! 7 Key Questions to Ask a College Admissions Officer - And what NOT to ask! New Year's Goal Setting and Math Add Up to Higher Grades for Students! 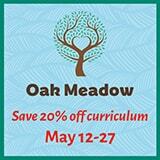 Considering Homeschooling? Find the Right Fit. "You Can't Seriously Be Thinking of Homeschooling!" Do Homeschoolers Hate Public Schools? Ask Jeanne: "Does school decide what grade?" Build Your Bundle 2016 is Live! Submit a Question to "Ask Jeanne"
Homeschooling 101: What is Homeschooling? Hey, Andrew! Teach Me Some Greek!